Oh, I could not help myself....very naughty...swore I would not buy any more fabric for at least a month..but look what I found .and of course had to have ! 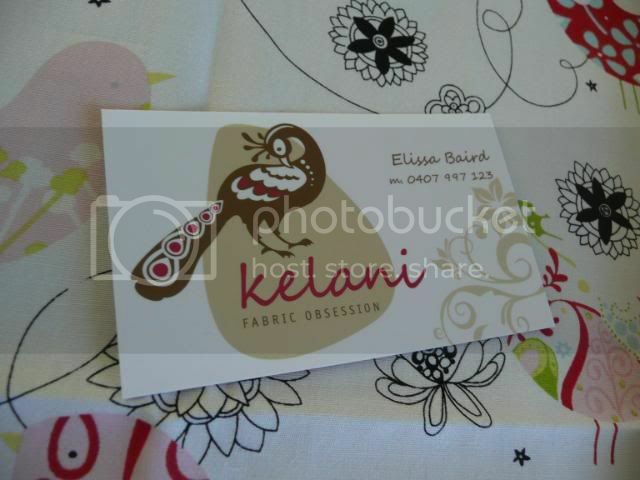 This online fabric shop , Kelani Fabric Obsession , has free postage within Australia. They have some of my favourite prints, including my latest purchase. I fell in love with the Starling print after seeing Elizabeth's latest creation over at Oh, Fransson. I plan on using my fabric in the same manner as she has. I have been busy with the 4 swap parcels I need to have posted by the end of May....what was I thinking ?? ?...signing up for 4 parcels that all have the same post date ! But what fun it all is ! 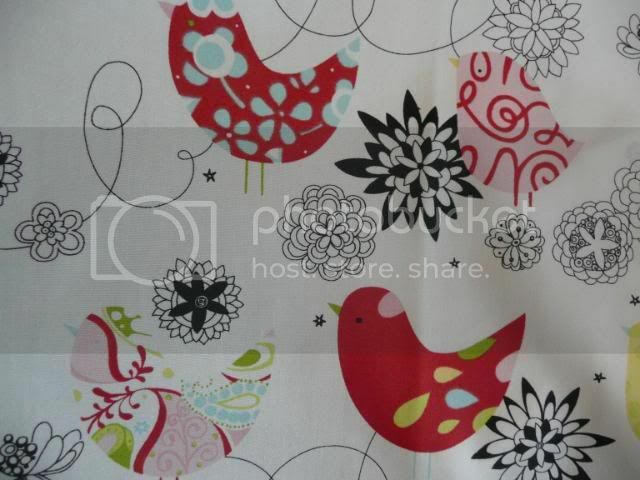 Adorable fabric! I have also been trying to "stay away" from fabric shops but it is really difficult! Great buy! ooooh pretty! hope all is well with you swap buddy and in answer to your question, my favourite colour is purple - from the palest lilac to the deepest aubergine! I've been umming and arring over what to order from kelani for months. Just letting you know your kitchen swap parcel went postall today! Not buying fabric for a month is like telling yourself you won't eat chocolate for a month. Not gonna happen!